In House & Home, Money & Finances, My Life. I love reading about what people do and don’t splurge on, and why. Inspired by recent posts by my friends The Frugal Girl and Money Saving Mom, today I’m sharing 7 things I’m choosing to splurge on in this season. Will and I are both savers by nature: we’re more likely to hold off buying necessities than go on a spending spree. And there have been many years where we have chosen not to splurge on much of anything, either because we were drowning in medical bills or—more happily—throwing all our cash at a big goal. Our “splurge list” varies with the seasons of our lives; these are the things I think it’s worth splurging on right now. Flowers are unnecessary and highly perishable but they make me so happy. During the winter months, I made a conscious decision to pick up a $4 bouquet every week when I was at Trader Joe’s. 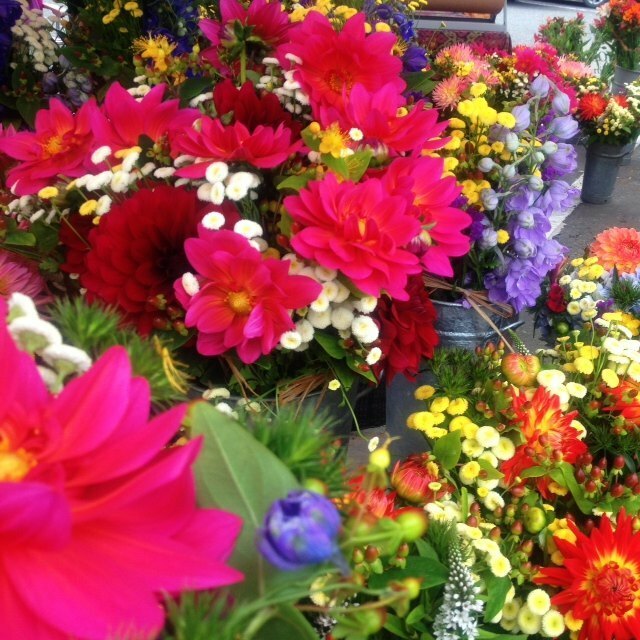 Now that flowers are blooming all over our yard, we can cut our own bouquets some of the time, but we’ll still pick up the occasional bouquet from TJ’s and more frequent ones from the farmer’s market. We’ll also be splurging on pretty flowers for the front door and back patio, as soon as I can decide what kind to get. They’re not cheap, but we’ll enjoy them every day for months. Some of the best fashion advice I ever heard was spend to your weakness: allocate a little extra money in your budget for whatever part of your body is hard to fit, or that you’re self-conscious about. I have huge feet (seriously) and very few brands actually fit me well. I also spend a lot of time on my feet. If I find a cute pair of shoes that fits, especially a cute pair on sale, I buy it. I adore my Target sandals, but they’re the exception—most of my shoes are spendier than I’d care to admit, and this is why. Will and I are both coffee geeks: we appreciate good coffee, and we pay more for it than we have to. We buy locally roasted, ethically sourced beans for our daily brew, and we love to try new varieties as well. 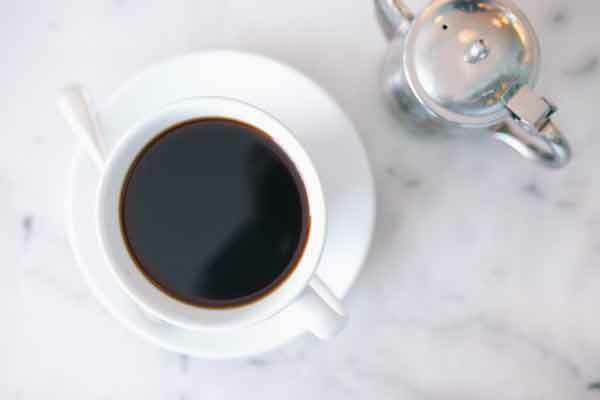 We also love to visit coffee shops—both here in town and when we travel—and often come home with whole beans. We don’t have a $500 espresso machine or anything, but we did just buy a second V-60, which is completely unnecessary but will let us brew our coffee faster in the morning: a worthwhile splurge. This year one of my fuzzy goals was to cultivate a spirit of generosity. I landed on a concrete way to further this goal: I decided I would be a generous tipper this year. I spent six months waitressing right after college, and that experience tends to make you a big tipper for life, but I wanted to be conscious about tipping more not only to my restaurant servers, but also my baristas, my hair stylist, my mail carrier, our garbage collectors. This has been a simple, straightforward way to give where it’s not strictly necessary—to practice generosity. Whenever I catch myself thinking does my barista really need a dollar for getting me a cup of coffee? I remind myself that I’m a generous tipper and that’s the end of it. Now I’m more likely to catch myself wondering how it feels to be one of those people who leave $100 tips for a cup of coffee or fast casual dinner. Will and I aren’t “yard people.” We enjoy spreading a few bags of mulch, and I’ve come to appreciate the therapeutic effect of light weeding in our new, smaller backyard. But last year we finally decided to hire out the bigger, seasonal projects, like mucking out the flower beds, digging in a new edge, and spreading dozens of bags of mulch. And the best $40 I spent last year, hands-down, was to the pro who eradicated the poison ivy we discovered (the hard way) at the new house. It’s such a relief to not have to spend all those hours in the spring and fall focusing on the yard, and it feels like an even better deal because keeping my face out of the grass helps me avoid what used to be my annual allergy-induced spring sinus infection. I love pens, I always have, and I spend more than I strictly need to for the sheer pleasure of a good pen. I have my reliable stand-bys (these are my favorites lately, and our family loves G-2s so much we buy the 20-packs at Costco), and I love trying new-to-me pens. (This is our favorite recent find.) I work with words, so you could call this a smart expenditure instead of a splurge, but I definitely take my pen fixation further than is strictly necessary. I’ve gotten so much pleasure out of my purchases, because they’re beautiful, and also because owning these books has inspired me to finally read classics I’ve been putting off for years: Heidi, The Secret Garden, Little Women. I also buy quite a few of these from indie bookstores, even though they’re more expensive there. That’s what I’m splurging on right now. How about you? I spend on quality cheese and exotic varieties of apples. Um, *buy*. I’m a writer. Doh. 100% agreed on waitressing making you a big tipper for life. Talk about being overworked and underpaid! I’m a saver as well, but recently I’ve been experimenting with splurging here and there. To my surprise, it’s created a definite increase in quality of life. For example, I normally go to the cheapest haircut place I can find because I’m not too picky about my hair. Last weekend, though, I decided I was going to chop off a good 10 inches and go for a pixie, which I’ve been wanting to do for years. Since that’s a big job, I went to a nice salon and paid the most I’ve ever paid for a haircut in my life. It was SO worth it. 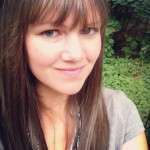 The stylist was beyond amazing, and on top of the pricier cut I ended up giving him a $15 tip. For the first time, I might have found a stylist I actually want to go to again! YUM. And I agree about good denim, that’s a great addition to a list like this. I like your mention of Express jeans. When I worked full-time, we splurged on a gray and black pair of their Editor pants. That was 10 years ago and they are still going strong! I definitely agree with you on the pens. Particularly when I was a student, I bought a lot of colorful pens for notetaking, and I still have a soft spot of Stabilo point 88 pens and the most colorful set of Pilot precision V5 pens. The other one is coffee. I usually just make it at home, but there is this coffee shop near my house where I go if I want to get things done. There are actually two different areas: one that’s well lit only with tables (perfect for studying/working) and one that’s darker with comfy chairs. Also the music might as well be directly from my pandora station. It’s one of my favorite places so it’s worth it to pay for the fancy coffee to be able to spend time there. I adore the Stabilo 88s and was just given a set for my birthday! I hear you: I feel like the right coffee shop is a good investment because I can really focus on writing there—and the coffee is a bonus! Shoes are always something to splurge on! Good quality shoes can make a world of difference in terms on their durability and wear on your feet. Would you be willing to share the shoe brands that fit you well? I have huge, narrow feet and I am getting too old for $10 ballet flats. I would appreciate someone pointing me in a good direction regarding serious grown up shoe shopping! Sure, but I have the opposite problem. My huge feet are very wide, so I look for brands that tend towards wide toe boxes, like Born, Ecco, and Tory Burch. (Thank goodness for Nordstrom Rack!) I also just got my first pair of Tieks, which are super flexible for my wide feet but I’m not sure how they’d fit a narrow foot. Anne, I’m a pen lover, too! Have you ever used fountain pens? They’re probably my biggest splurge in life right now. There’s a whole culture around pen love–there’s even a podcast and blog called the Pen Addict. You should check it out! I’m a pen addict! I’m going to check it out! I haven’t fallen down that rabbit hole yet but I’m perpetually curious. Which one do you use? At this point, I have quite the collection. My favorite is my Pilot Vanishing Point, but that was beyond a splurge. I think the best starter pen is a Lamy Safari. I still use my Safari regularly, even though I have a much more pricy pen that I can use. If you want to try a disposable first, the Pilot Varsity is a nice gateway pen. I really love using the refillable pens (the Safari uses a simple converter) because then you can start getting into ink, which is where both the eco-friendly quality and the versatility of the fountain pen really starts. If you are really interested, Goulet Pen company has a great ink subscription called ink drop where they send you samples of 5 inks each month. That’s my special treat to myself every month and I love it! I love fountain pens. I don’t use them as much now by they were the only way I could write exams without my hand cramping up. They make everything look pretty too. nOT a clothes horse…but my wardrobe did need some updating! 2. Coffee…a nice cup out time and again makes me happy and feels indulgent and I’ve let myself enjoy that! I drink tea at home mostly! 3. Books! 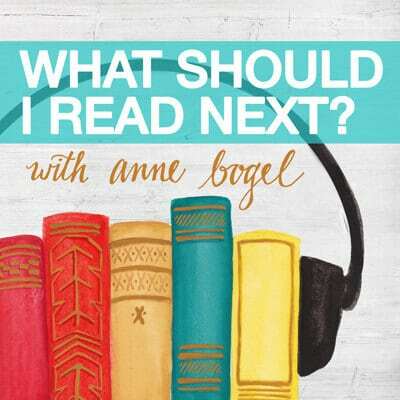 For the first time, I joined a book club and have gotten back into reading! I decided that books were a gift to myself and my boys and if I want to purchase one that is ok! I’m sure I have forgotten a couple of others. But I don’t like clutter so I avoid buying little house items and I have all I need otherwise…and feel blessed! I agree that splurges change based on your life season! Right now my biggest splurge is hiring a cleaning lady. She came every other week when our daughter was born last May, and has since come in when I’m overwhelmed, the house needs deep cleaned, or to give us a sparkling house to come back to after vacation. I actually like to clean and am quite picky about it. But with an infant, things have to give. It was priceless knowing my house could be clean with zero effort on my part when I just couldn’t do it myself!! What a great splurge for the new baby season! We travel a lot, always have and it use to be we flew economy. No more a few years ago we splurged and went First Class to England. It was wonderful. We decided then and there that from now on we’d splurge and always fly First Class. It’s worth every penny of it. Ohhh. I’m always intrigued when people say this, because I hear it a lot. I’ve never flown first class. We got upgraded for free once; it was pretty great! We usually upgrade to the economy seats with a little more room on long flights. First class is so expensive… Alas! I loved reading your list. It’s always so interesting to see what varied things people splurge on! I agree with the shoes! I’m on my feet almost all day and walk miles. If a shoe can combine comfort and style, I’ll pay quite the premium. I really like your attitude about tipping. This has been a little struggle for me as we’re trying to curb our spending and I find myself debating the extra dollar here & there. I love the self-talk “I’m a generous tipper”. I use the same type of self-definition for NOT buying things (“I no longer buy fast fashion” “I get books from the library”). I splurge on fruits. $5 tiny box of raspberries but they were SO GOOD, my 3 year old and I devoured them in 3 minutes and I’m going to get more. Pineapples, mangoes, berries—those all came home with us this weekend. Also nice cheese. Lots of food-related things! Travel. Both of our families live plane-rides away and we devote a pretty good percentage of our budget to making sure our kids get enough grandparent/great-grandparent time! This is so personal and so thoughtful. There are so many ‘good’ ways to spend or save money and I love the reminder that being thoughtful about our choices is the main thing. I also love that your splurges include generosity in tipping. I also meant to say – we splurge on quality food, although sometimes the grocery bill is painful. We enjoy it, though, and we see health results as well. 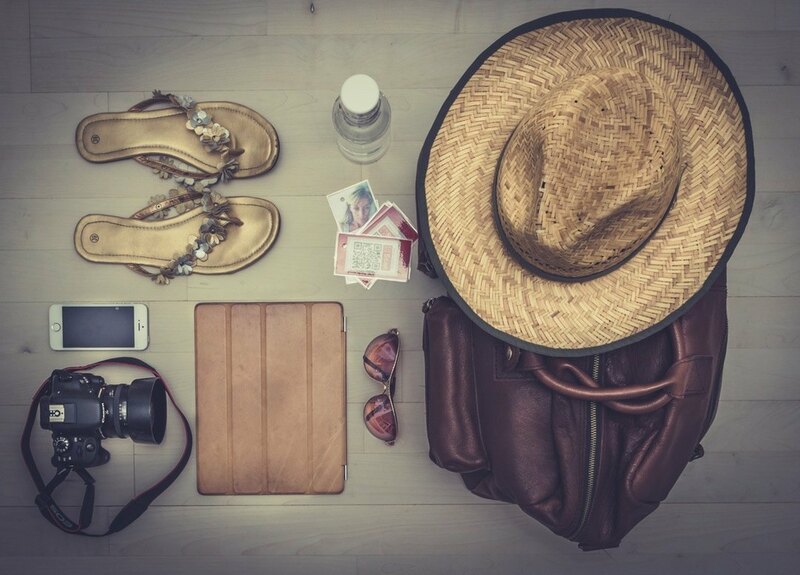 We also splurge on educational resources and experiences, little luxuries that make home pleasant (like a wonderful mug), and travel, when we can. I am increasingly trying to splurge on giving whenever possible. I love to splurge on high-quality running clothing and shoes. My go-to brands are Athleta and Nike. I would rather have a couple of durable and comfortable pieces of clothing instead of a bunch of cheap items that stink of BO after one running session. I love the Triplus Fineliner Pens, too! I bought myself the 20 pack about 5 years ago. They’ve lasted a long time, but my favorite colors are kaput so I may need to splurge on a new set (not the 20 pack this time, I didn’t use all of the pens enough to justify that again…). We tend to splurge on food. For example, I love a nice crusty bread with our meals. There are some lovely bakeries in our city that I will go out of my way for, just to get a loaf of bread. I also tend to splurge on getting my hair cut and colored. It’s so expensive, and I may eventually have to give up my salon in favor of a more economical choice. But for now, it’s one of my only vanities. I know that with hair cost often equates with quality. But a few years ago I switched from a stylist who I loved as a person but just never “got” my hair to a stylist who actually makes it look good—AND I cut my costs in half in the process. I still feel like it’s a splurge but it’s a much more modest one now! Thank you, Anne, thank you! Reading “The Happiness Project” by Gretchen Rubin gave me permission to indulge in some areas. Shoes being #1. I am a receptionist at a large firm so a Haircut every 6 weeks is #2. Sixteen years ago, when my oldest child was an infant, my husband convinced me to get a cleaning lady. I worked with a refugee resettlement agency, so we chose a lovely, older Bosnian woman who became very dear to us. Not only was this choice vital to helping me relax as a new mom, but it was also a ministry to this dear woman who needed the work. I felt a bit judged by a few people who intimated that my choice might be extravagant, until I talked with a friend who grew up on the mission field. She said that in Zimbabwe, her family was expected to employ someone to clean the house, because NOT to do so, would have meant that her family was hoarding its apparent wealth (they were Americans, after all!) and not being being generous with the local people. Knowing this, helped me to be free of concern with the expectations of others. We moved out of state, so we no longer use this Bosnian woman, but for the last 15 years, I have used a wonderful woman who is also very dear to our family and depends on our employing her. Again, it is very much a ministry to her, also, and frees me to use my time to teach Bible studies a couple of times a week to international women and college girls as well as take care of my own family. It also helps me be more hospitable (even spontaneously) because I know my house is usually in order. We also splurge of quality food (dairy, vegetables and meat in particular) and fun vacations every summer to somewhere new and different. These shared experiences are more important to us than ever before because we are unable to spend as much time all together as they get older (16,14 and 12) and are often going in different directions (having a driver really creates a different dynamic). Our family vacations have become part of our family story or “lore” as I like to call it. When I’ve asked my kids what they thought was fun or unique about our family, these vacations are always right at the top! Building memories is essential! As someone who employed (live-in!) house help when my family lived in India, I heartily concur with both you and your missionary friend: hiring help can be a wonderful, mutually beneficial thing. Glad you flung off the guilt. I think having someone who helps you clean is a great idea. I always had the idea that it was something only really wealthy people did. I had one single friend who worked as a nurse, and just didn’t like to clean. She hired someone to come in once a week & do the bulk of that for her. We had three kids at the time, the youngest was 2, plus we had two foster children, one who was special needs and required lots of time. We were about to move and I was going crazy. I had the same lady come work for me a few times and I loved it. It made me wish I had done it much sooner! Then we moved out of the country, and now I have someone who cleans twice a week, women who wash all our clothes by hand, and two cooks. It is a great way to provide work for women who would often have a hard time finding another way to support themselves. I used to really judge women who had people clean for them. And then I became the person with a cleaning lady as a new mom! I get it now. For me, cleaning house is hugely important. Having someone do it relieved huge amounts of stress for me. I’ve never thought about it being a blessing to the person you’re employing. Nice perspective! I used to judge as well; I was terrible about it! Until I was diagnosed with a dust allergy that was severe enough that I was getting migraines every time I’d vacuum or clean. So I had to get over myself and hire someone. I’ve been blessed enough to find a homeschooling family of mostly girls – I hired the two oldest, then one moved away so I used #2 and #3 for a while until #2 went to college, and now I’m on #3 and #4. LOL. But that’s it for the family, so I have until #4 graduates high school, which will be a while. I have very much come to see that I’m a blessing to them as much as they are to me. For me, they’re fairly inexpensive, reliable help. For them, I am a safe place to work that is flexible with their usually crazy schedules. I’m so glad that I am able to afford to have the help!! How do you find someone to clean your home for whom it would be a blessing? I am not physically able to clean my house any longer, and on a limited budget. But I feel that getting someone to come in and help would be a worthwhile splurge. 1. Good food (we cook at home 90% of the time, so we buy fresh, organic ingredients). 3. Yoga classes. I teach yoga and love to go to a great studio with amazing teachers whenever I get an opportunity to do so. 5. Flowers, from time to time. 6. Certain clothing items. I live in a very cold climate, so a good quality winter jacket that will last me for at least three years is an absolute must. The same goes for warm winter boots. I also like well-structured beautiful leather jackets and shoes. I don’t often shop for clothes, but I do buy well-made classic pieces that will stay with me for as many years as possible. That’s a great list. I love your #3. 1. Tea I love Caribou and I get an Early Grey/Mango tea from them every morning. On the days I work out I get it after. On the other days my husband brings it to me after I walk the dog. 2. Art supplies and classes. I have always loved to draw and paint and I wanted to learn mixed media techniques, but as a teacher I never had time. Now that I am retired I am taking classes with a wonderfully encouraging teacher and spending lots of time in art supply stores. Some of my purchases have been pricey but spending more on paint makes a huge difference. 3. My husband and I splurge on art for our home. We love to go to museums and galleries and we love buying pieces from artists we admire and meet. Also I agree about tipping. I always make sure I over tip on breakfast especially. Those are great; I especially love #3! YOU hadn’t (or haven’t) read Heidi, The Secret Garden and Little Women? I enjoyed this post, but that fact really stood out and surprised me! No! I didn’t read Heidi and The Secret Garden until this year! And I STILL haven’t read Little Women but now I have three gorgeous copies staring at me every day (in a welcoming way, not a judgmental one 🙂 ) so as soon as I get through summer reading prep I’ll be crossing that one off the list. I’m splurging on a bookcase built into my office closet because there is NO ROOM left around here. And a way to make my floor less of a tripping hazard!! Our biggest splurge is on gym membership, AND personal training. Yes, it’s quite spendy. However, I spend at least 12 hours per week there, and it serves as a “club” as well as simply a place to exercise. I stopped feeling guilty about it when I realised that this still represents less than 10% of our budget, and is there really any goal more worthy than health? Worth every penny! 2. A really good blow dryer to help getting ready for work faster! If I could splurge, it would be on shoes and bras for sure! And I’d love to be able to splurge on a writer’s conference this year. Bras are a GREAT one, and I love the idea of a writing conference making this list as well. That’s so fun about being given splurge-worthy items! I love what you shared about perspective and blessing others. Anne, I loved this wonderful post and all the delightful comments. I think when you and I corresponded years ago that I mentioned to you the Mount Hermon Christian Writers Conference set under the redwoods near Santa Cruz. It’s always held over Palm Sunday weekend, and I had the joy and honor of serving on faculty again this year. Perhaps keep the conference in mind for 2016? It is always rich in information and inspiration, and I’d love to see you there! Amen on splurging on good bras!! For those of us who are blessed in that area it’s so important!! And let me tell you, there are a lot of very crappy and expensive options out there! My husband just lost his job, so splurges are where we are cutting back. I cancelled my hair appointments; I was spending way too much, but it was the only thing I did for myself so I justified it. I colored it myself for the first time last week and it looks ok. I am also a generous tipper, especially on Sunday lunch ever since I heard how wait staff detest the church crowd because of their stinginess. Having bad feet my entire adult life has made footwear an expensive proposition, too. Oof, I’m sorry to hear that about your husband’s job. 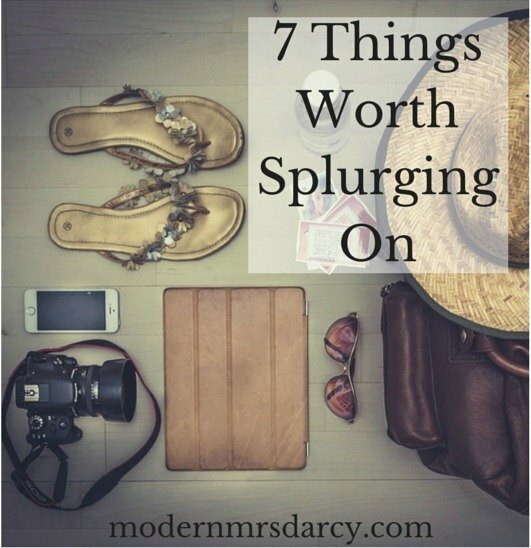 I considered adding a non-monetary angle to this post and decided it cluttered it up, but now seems a good time to mention that even though I often think of a splurge as being a monetary thing, I splurge with my time as well. Example: I make coffee the old-fashioned, time-consuming way, even though I don’t *have* to, because I think it tastes so much better. I’d be interested in hearing what things merit extra time spent in other people’s day-to-day lives. I love the idea of time splurges! Thank you for mentioning tipping. I was a worked in restaurants in some capacity for nearly fifteen years, so I know how much that extra dollar can help. An extra dollar or two can really make a difference to a server. My splurge is professional hair color. I used to be a “home box” kinda gal, but now I get my highlights done by a great stylist. When my hair looks good, I feel good. We also don’t scrimp when it comes to groceries. We don’t buy many packaged things, but we do buy organic meats, cheeses, and dairy whenever possible and shop at the farmer’s market for local produce. We consider it an investment in our health and our planet. We splurge on quality food and quality toys for our kids. I injured my hand recently and will not have full use of it for close to a year. I’ve splurged on a couple of blow dry sessions for my hair and will probably hire a cleaning service soon. It is interesting how this injury has forced me to examine the importance of these seemingly small things that I never gave a second thought before! That IS interesting about your hand injury. Thanks for sharing that perspective: I hadn’t thought so much before about what factors might bump something up the splurge priority list, and that’s a great example. LOVE your New Year’s resolution! My main splurge is going out to eat more often than strictly necessary. As a nursing mom who needs the calories but has trouble carrying a lot of food along with the baby and her gear, it’s useful to go out to lunch 2-4 workdays a week. We also go out as a family about once a week because we all enjoy it. Pen enthusiasts, please consider recycling used pens to be made into plastic storage tubs. My friend is doing this and inspired my son to start collecting at his school (which discards many dry-erase markers) and now a lot of kids are bringing in their dried-up markers from home! About your yard: If you have a “problem area” that you’d like to cover with flowers, and it’s sunny, purple morning glories are wonderful! Plant seeds before Memorial Day, water when you think of it, and they’ll bloom from July until frost. have the kids collect the seeds to plant the next year and then pull down the dead vines. After the second year they will re-seed themselves so well you won’t need to plant any seeds. Thanks for the morning glories tip, and the info about Terracycle. I waited tables when I was in grad school, so I know that your servers greatly appreciate that you splurge on tips! 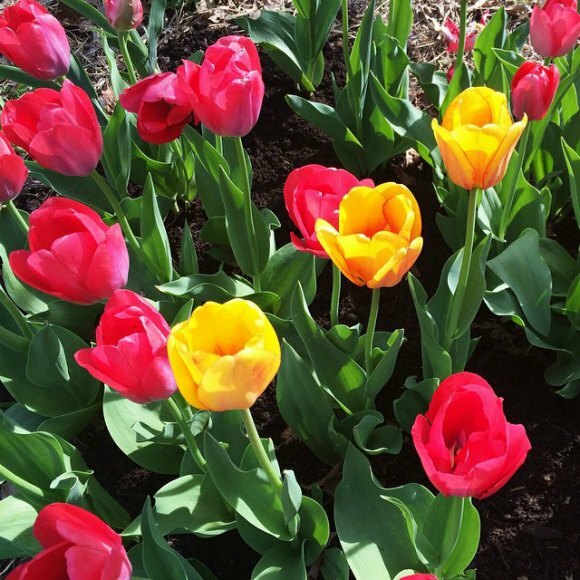 I also would love to find out which flowers you choose for your yard. I am (with much fear and trembling) attempting a flower and herb garden this year. We’ll see how it goes! I splurge on books, fresh fruit, and icons. I’m so glad that’s working for you! I just found the Gwynnie Bee site and was thrilled that they carried plus sizes. I’m losing weight and was thinking of using them to add a few pieces to my wardrobe temporarily as I change sizes but without the long-term commitment of a purchase. I can continue to change sizes with pieces that fit without breaking the budget along the way. That’s so great! And isn’t it nice not to feel wasteful? I love it! Pens would probably be the main thing that I splurge on. I just got some Frixion erasable gel pens. We live in Congo, but were traveling to South Africa, and so I got someone who was going to be at the same conference but coming from the US to bring them. I was ridiculously excited about it. The kids all had a game they were getting, and I had my pens to look forward to. 🙂 My friends here thought I was a little nuts. I like to tip generously, too. I just think of it as part of the price of the meal or whatever. 🙂 I figure many people in those types of jobs have to deal with a lot and it’s nice to feel appreciated. I will also spend more money on comfortable shoes. I have flat feet, and will end up with pain if my shoes aren’t supportive enough. Plus I had a stress fracture a few years back that makes supportive shoes even more important. I don’t buy a lot of shoes, but the ones that I get need to be just right. I don’t majorly splurge on any type of food, but I keep a generous budget for it because we share a lot of food and I want to always feel free to do that. Food is pretty expensive here- in the Congo. But the organic, locally sourced food is the cheapest. We have banana trees, guava trees, a mango tree. 🙂 It’s free! Plus other things like that are cheap at the market. The other thing that I like to splurge on from time to time is a decent haircut. But not here. 🙂 I was here over 3 years, went back to the US & got my hair chopped & highlighted. It was great. 🙂 For now, it’s the ponytail look every day until I’m back in the US. Thanks for sharing your perspective from the Congo! Great list. I especially loved the tip one. Second area is outings and community stuff: city walk-race as a family, supporting others’ endeavors, shopping local, eating out, kid sports. Before we owned a house, travel used to be our splurge. (I still get the bug.) When we bit the bullet, I knew hubs would want things done right with quality products and I would want it to be pretty! Things like wall hangings, quality paint, pictures printed and hung. My man is almost done with his Master’s and now that his finish line is near, he’s being so adorable about getting our spare basement bedroom all fixed up for a writing office for me! I love to splurge on coffee (who wants to start the morning with something terrible?!) and good sunglasses! I hate glares and squinting! I also like to smell good, so perfume is a must splurge also. A good set of luxurious sheets. I also splurge on cute notebooks and pads of paper. It kind of guilts me into writing more than I would otherwise! I’m with you on the tipping thing; that has become more of a priority for me lately. I think it’s important. I don’t splurge much at all but if I do it’s usually on pants: I have a short (28″) inseam and am very picky about fit. I buy all my pants at the same store (Reitmans’), and if they feel great but are not on sale, I’ll probably buy them anyway. Great post! When I read the “shoes” part, I found myself nodding in commiseration. I’ve always had problems buying shoes because of weird sizing issues. I always just bought cheap shoes. Now, as I get older, I recognize the absolute bliss involved in finding those perfect shoes that both fit right AND are pretty. Babysitting! I tack on an extra hour with the sitter after my work hours and get so much done! We are moving in a few weeks and putting money toward babysitting feels like a nice splurge in the name of self-care. And I had to comment simply to exclaim in horror that you had never read Heidi or Little Women or The Secret Garden?! 🙂 And you keep tempting me with these beautiful books! I would love to have an English library room with floor to ceiling bookshelves and beautiful woodwork and leather chairs and a fireplace. Somehow it doesn’t quite fit my farmhouse in size or style! “AnEnglish library room with floor to ceiling bookshelves…” I couldn’t help but comment on how wonderful that sounds. 🙂 that’s the dream! Flowers! They really brighten up my day and seeing them as I walk into the door makes the house truly a home. Along with that, small treats! Like ice cream from the local spot with a really good book and a patio chair. A cheap and easy way to relax and wind down. We were just paid a lump sum (bonus!!) that we desperately needed. I had to replace/upgrade my work wordrobe due a charge in dress code. I found a good sale and decided on several coordinating suit pieces and no-iron button downs. Also needed new dress flats, bras- the whole shebang. It was weird to do all this spending, because we are in debt-snowball-payment-mode. But we budgeted and paid in cash. Now I feel better wearing well fitting and not all second hand store/worn down suits. We’re savers, too, and there’s a big goal to reach in the somewhat near future. I’ve got money set aside for much-needed shoes but indecision has frozen me. Maybe I’ll buy some new sandals before next winter 🙂 With spring, though, it’s plants – clearance, half-dead markdowns – but totally not necessary and certainly not in the volume I tend to come home with. But it’s a gift that keeps on giving, right?! A couple years ago we started having my husband’s work clothes dry cleaned. I hated spending the money at first but it takes so much pressure off us, the pressing looks so good and everything lasts longer. For myself- good shoes, sandals and boots, and good chocolate and occasional tickets to the ballet. We have homeschooled for 18 years so far and we spend a lot on opportunities for our kids– laptops, sports, and ballet classes. I never regret spending on travel or family outings-things they will always remember. And coffee– we like it so much, we started our own roastery! I splurge on shoes, coffee and Philosophy skin care (I am in my 40s and my skin needs some extra-good moisture). I’ve always been a good tipper. I feel for waiters and waitresses. It is hard work! Lately, my splurges have become things to do. Whether a little more at a restaurant for a great dinner, staying an extra night on a trip or picking an extra activity to do that weekend. I’ve been feeling very over stuff lately, sure that will switch around again one of these days but for now it’s all about the experiences. Thanks for sharing yours. I definitely splurge on fresh flowers. Also chai at the coffee shop down the street. And plane tickets – my husband and I would rather travel than redecorate the apartment or drive fancier cars. I’m in a huge-library-stacks phase right now, but there are times I definitely splurge on beautiful new books! By the way, I’ve only ever once paid someone to do yard work for me, and it was also for poison ivy removal. I’m deathly allergic to it, so I couldn’t take on the task myself. Otherwise, I can (and often do) spend all day digging, planting, weeding, and whatnot. I love to mow the lawn; it’s a zen thing for me, ha ha! I love this post and the splurges. 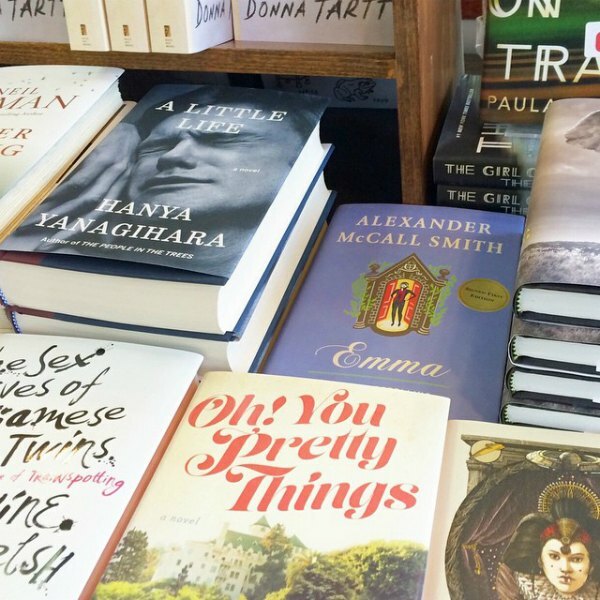 Books are ALWAYS on my splurge list, and I have a question… I’ve scoured your blog posts with the picture of your shelves included in this post and cannot find the answer to my question. 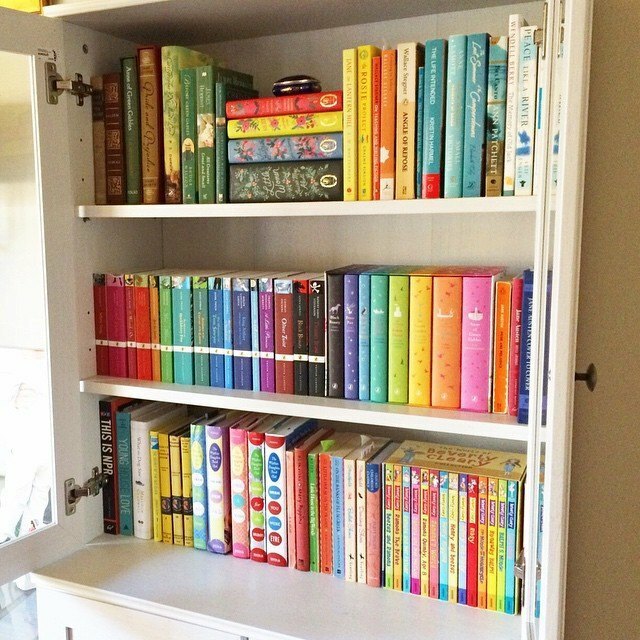 What are the books near the center of the bottom shelf, a set just to the right of the Nancy Drew ones? I love all the covers, but those I haven’t seen and like. I work from home, so I splurge on drinks throughout the day — coffee, San Pelligrino, good loose leaf tea. I don’t snack throughout the day anymore, and it’s a bit of indulgence in a day that requires a lot of compromise, lol. I love planning trips, and when planning I do as much pre-ordering or saving tips as possible (booking the hotel room super cheap, red eye flights, purchasing groupons, etc), but once we’re actually on vacation, I have no issues spending money on the experience. Michelin star restaurants, $4 cupcakes, special souvenirs — whatever will feel special and can’t be done at home. I saw your comment about the G-2 pens. I use those and like them but I have a new favorite. Have you tried the Pilot Precise V7RT? Everyone here in the office that has tried it has given it a big thumbs up. I splurge on drinks – good coffee, Twinings English Breakfast tea, good wine and whiskey! I drink very little alcohol so always make sure it is worth it! I also consider the time consuming things I do as splurges. Things such as making a pot of tea, with water boiled In a kettle on the hob, every evening and ironing lots of things including sheets (which are then returned to the linen cupboard with lavender sachets tucked inside). At this stage of my life I now have the time to do these non-essential but lovely tasks. When I’m ironing I often listen to music but am going to organise myself some audible books for my session next week. 1. Good undergarments. Took my 50 year old friend and she raved about how she felt great in the first bra that felt comfortable and flattered her. Get sized then buy subsequent bras new from eBay at a discounted price. 2. Coffee. I have a Cuisinart grind and brew. Yum! 3. Leather furniture. After going through several cloth sofas with dog and kid messes, we invested in a leather sofa and haven’t looked back. 4. Cars. In the book “The Millionaire Next Door”, the author noted the cost of depreciation for new cars. We drive used Volvos. Great price, reliability and vehicle life. 5. Clothing and shoes. I also purchase few, classic, quality clothing items. I know the brands that got and flatter me. Thrift shops and eBay are my friend. 6. Hair cuts. My entire family has been going to the same barber for 20 years. She does magic. Finally – we are great tippers too. I enjoy showing my appreciation for service. 1. Family getaways and vacations. It’s not always easy as we have a 6yo, a 4yo, and a 2yo but it’s so worth it. Especially when we overhear the older two talk about an experience from a family vacation months later. 2. Like you, I also splurge on good quality shoes. I’m tall (5’10) so I wear a lot of flats and need good, comfortable shoes. I like Tory Burch, Born and Cole Haan. 3. Books!!!! I just love beautiful books and I don’t even try to justify it to myself or anyone else any more. I just love books! Period! ? 4. Great coffee. I was not a coffee drinker until I became a mother. Now a great cup of coffee in the morning can make a big difference in my day. 5. Quality jeans. I’m tall and slim so many of the cheaper brands just don’t fit me well. 6. Organic food. Since becoming parents we have switched to an almost 100% organic, GMO free, no food coloring and high fructose corn syrup diet and we can’t imagine ever going back. 7. And lastly, good quality wall paint for our house. We use Restoration Harware Paint and the colors, texture, durability and look of it is so nice that we never fail to have people comment on it, including buyers, realty agents, and the appraiser on a recent home we sold that was painted 7 years ago. I splurge on 1. Smartwool socks because I get a thrill every time I put them on 2. A great haircut (which I only get bi-annually) 3. Eggs from farmers 4. Running shoes 5. Foundation because I really need to love and feel good about what I put on my face very single day 6. Every once in awhile, a special item to put in my home because I know it will make me happy whenever I look at it. 7. A quality chocolate bar at the end of a difficult week. I hardly ever eat sugar, so when I do, it needs to be worth it. Love your post it helps to not feel so guilty about what I splurge on. 1. Ice Cream I eat it almost everyday. 2. Expensive quality make up. My Mom can not wear make up because of an allergy so growing up I never really understood how to wear it and that there really was a difference in the quality. I got brave one day and worked with someone at Sephora and have been hooked ever sense. 3. Face Cream. I turned 30 this year and started to notice I needed to take better care of my face. 4. Socks love soft moisture wicking ones. 5. Pens I decided to get my MBA and use a lot of pens. So I bought a couple boxes of Uni-ball ultra fine stick pens. I haven’t. But I personally love Tieks, Kork-Ease, Dansko, and sandal season (which is so much more forgiving for big feet than the rest of the year).